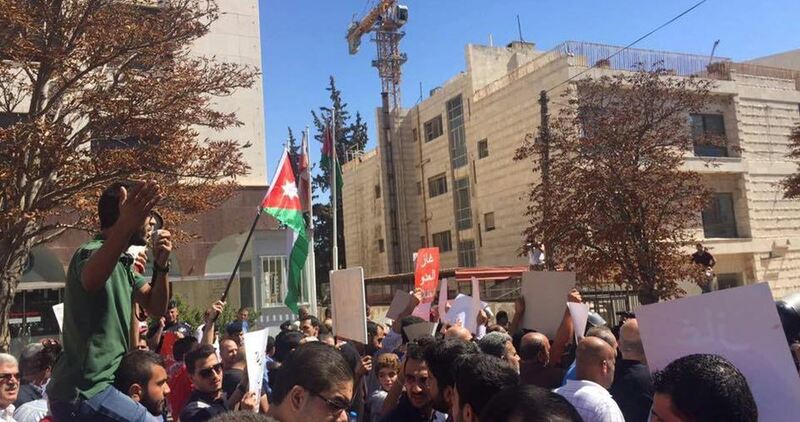 Jordanian security services on Friday prevented a march launched against the gas agreement with Israel in the Jordanian capital of Amman from reaching the prime minister's building. The demonstration was organized on the first anniversary of the gas agreement signed between the Jordanian government, represented by Jordan’s National Electric Power Company, and Israel. 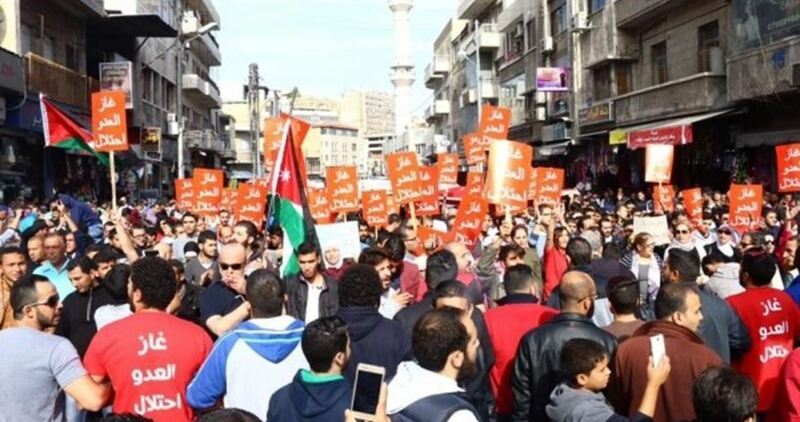 The participants demanded the Jordanian government to cancel the agreement, which they described as "shameful", saying that the deal causes the national economy heavy losses, threatens Jordan's sovereignty, and supports the Israeli occupation of Palestine. Israeli police arrested late Tuesday four Jordanian workers in King Suleiman Hotel for allegedly attacking and stabbing an Israeli woman in Eilat, eyewitnesses reported. Israeli police spokeswoman claimed that an 18-year-old young woman suffered hand injuries after being attacked in a hotel by a Jordanian worker. Witnesses affirmed to the PIC reporter that the incident occurred when an Israeli young woman violently attacked a Jordanian worker while cleaning one of the hotel rooms. The worker, in return, attacked the young woman with a knife. Four workers were arrested following the incident, two of them were then released. The Jordanian government is reportedly refusing to allow the return of the Israeli ambassador to the country, more than a month after an Israeli embassy security guard shot and killed two Jordanian citizens, Israeli news website Ynet reported on Thursday. Staff members of the Israeli embassy to Jordan, including the security guard who Ynet identified as Ziv Moyan — who killed Jordanian citizens Muhammad Zakariya al-Jawawdeh, 17, and Bashar Hamarneh in what Jordanian media and officials said was a professional dispute — had returned to Israel in late July, just days after high tensions following the shooting incident. 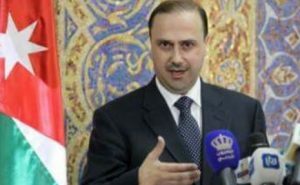 According to Jordanian media, the Jordanian government had decided not to allow the Israeli ambassador to Jordan and the embassy staff to return to Amman until “gaining complete assurances” guaranteeing that Moyan would be prosecuted. Ynet reported that Jordan’s refusal to accept ambassador Einat Shlain’s return to Amman was due Shlain’s participation with Moyal and Israeli Prime Minister Benjamin Netanyahu in a celebratory reception upon their return to Tel Aviv. Meanwhile, Israeli police are ongoing in their investigation of Moyan, who has maintained that he acted in self defense. A huge demonstration was organized after Friday prayer in the vicinity of the Israeli embassy in Amman in support for al-Aqsa Mosque. The protesters called for closing the Israeli embassy in response to the Israeli repeated attacks on al-Aqsa Mosque and the killing of two Jordanian nationals with cold blood at the hands of an Israeli guard at the embassy. The angry crowd demanded ending Jordan's peace treaty with Israel and announced their solidarity with Palestinians in general and Jerusalemites in particular for standing steadfast vis-a-vis the Israeli violations practiced against al-Aqsa Mosque. They chanted slogans condemning the unjust Israeli measures and calling for expelling the Israeli ambassador from Amman. The Jordanian government has demanded its Israeli counterpart to conduct a serious interrogation with the security guard who shot dead two Jordanian citizens a few days ago in Amman as a prerequisite for allowing its embassy staff to return to the country. An official source from the government also said that Israel is required to issue an apology for its behavior towards the incident. Jordan's King Abdullah angrily demanded on Thursday that Israeli premier Benjamin Netanyahu put on trial an embassy security guard who killed two Jordanians, and said relations between the neighboring states were at risk. Netanyahu gave the guard a hero's embrace after Israel brought him home under diplomatic immunity, a behavior that the King said was "provocative on all fronts and enrages us, destabilizes security and fuels extremism". "We demand that the Israeli premier abides by his commitments and takes all measures to ensure the trial of the killer, and not handle this like a political show to achieve personal political gains," he said. 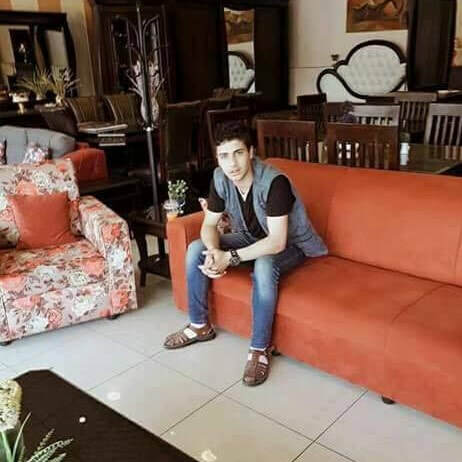 The Israeli embassy guard shot dead Jordanian teenager Mohammad Jawawdah, who worked for a furniture company and was delivering an order, at Israel's embassy in Amman on Sunday as well as the landlord of the house in the compound where the guard lived. Jordan's King Abdullah II slammed Thursday Israeli Prime Minister Benjamin Netanyahu's warm welcome of the Israeli embassy security guard who killed two nationals in shooting incident last Sunday. "This kind of behavior, which is unacceptable and provocative on all levels, has made us all angry and feeds extremism in the region,” King Abdullah told a meeting of Jordan's National Policies Council (NPC) at al-Husseiniya Palace on Thursday. "The Israeli prime minister is obligated to act responsibly and prosecute the murderer, instead of exploiting the crime for internal political purposes," he added. On the other hand, he extended his condolences to the families of the two victims who were shot and killed in the embassy incident. During the meeting, King Abdullah stressed Jordan's keenness to respect international law and diplomatic norms as a state of law that respects its obligations and charters. A 17-year old teen who was supposed to be delivering furniture to the Israeli Consulate in Amman, Jordan was shot and killed by an Israeli military guard stationed outside, after he allegedly tried to stab the guard with a screwdriver. The child’s parents say that the dispute was about the price of the furniture he was delivering, and that he hadn’t tried to stab anyone. The incident took place at a privately-owned building rented by the Israeli government as a residence for some of its consular employees. A second Jordanian shot and killed by the Israeli guard was identified by local sources as the owner of the building. After the Israeli guard shot and killed the teenager and the building owner, the Israeli government rushed him and the rest of their consular staff out of the country, sparking the biggest diplomatic crisis between Jordan and Israel in years. The teenager who was killed was identified by local media as Mohammed Zakaria al-Jawawdeh, a 17-year-old carpenter. 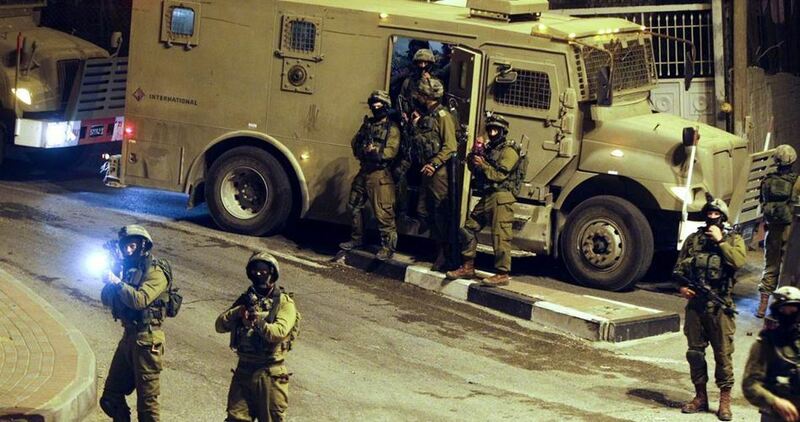 The Israeli guard was injured, according to Israeli sources – but it’s not clear how the guard was injured. The Jordanian government has not issued a statement on the incident, but Israeli Prime Minister Binyamin Netanyahu issued a statement late Monday that the Jordanian Ambassador to Israel had spoken with officials in the Israeli Foreign Ministry. Two Jordanians were shot dead after a worker stabbed an Israeli security guard with a screwdriver, at the Israeli embassy in Amman, Sunday night, causing him light injuries. PNN sources said that the security guard responded to the stabbing by shooting the workman dead. In the course of the incident, the landlord was also wounded and, later, died of his injuries. The incident comes in synchronization with escalations in the West Bank and occupied Jerusalem, after Israel installed electric gates around the Al-Aqsa mosque, where two Israeli policemen were killed at the site by gunmen for the provocative settler visits to the mosque. Al-Aqsa mosque is considered the third holiest place in Islam, monitoring the movement into and out of the mosque. 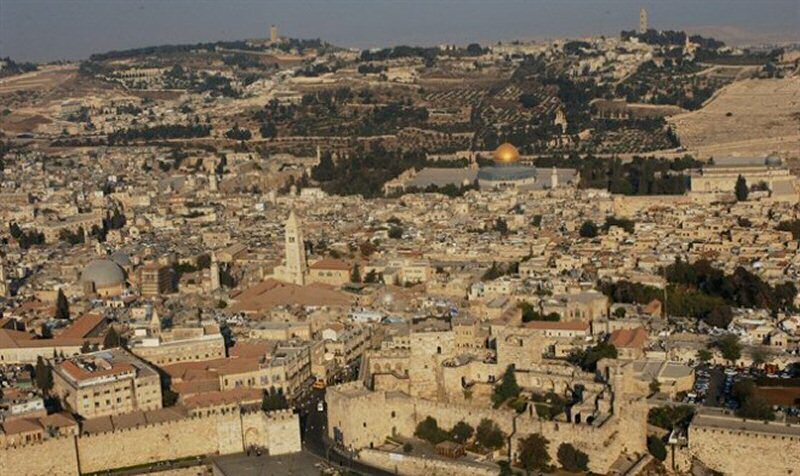 Israelis consider the same site their holiest, where the ancient Temple of Solomon is said to have once stood. However, settler attacks on Christian holy sites have been progressive in recent years, and are on the increase. Palestinians have shown strong disagreement to the motion, and responded by ongoing demonstrations and violent response from the Israeli forces and settlers, where five Palestinians have been killed with live ammunition and attacked by teargas. The PA also cut all contact with Israel, following the move. On Friday, three Israeli settlers were killed by a Palestinian in Halamish settlement, north of Ramallah, and Israeli PM Netanyahu announced that his home will be demolished. 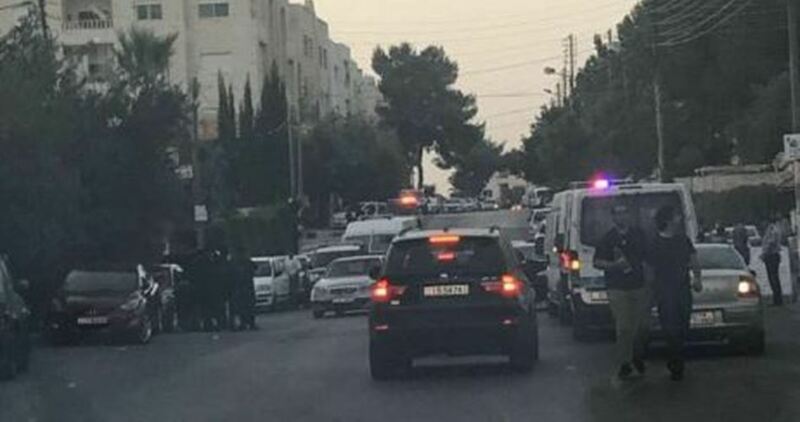 A Jordanian was killed and two persons, including an Israeli, were injured in shooting and stabbing incidents inside the Israeli embassy compound in Amman on Sunday evening. The Jordanian Public Security Department (PSD) said police forces rushed to the scene of the incident and evacuated the three for medical treatment but one of them, a Jordanian, was pronounced dead upon arrival at the hospital. The area surrounding the Israeli embassy had been shut down following the shooting. 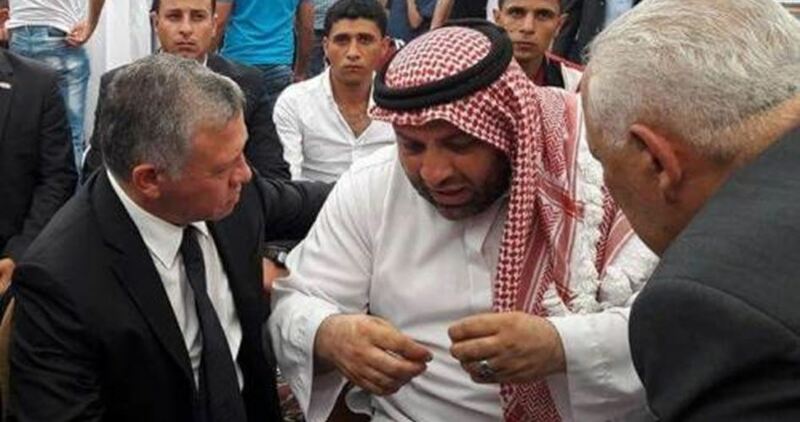 The PSD added in a statement that preliminary investigations indicate that the two Jordanians had entered the embassy's compound to do carpentry work. The statement said the PSD launched an extensive investigation into the incident and informed the Public Prosecution in order to find out all details and circumstances in accordance with legal procedures followed in such cases. The incident comes as tensions reached a boiling point in occupied Jerusalem after Israel imposed new security measures at al-Aqsa Mosque compound. 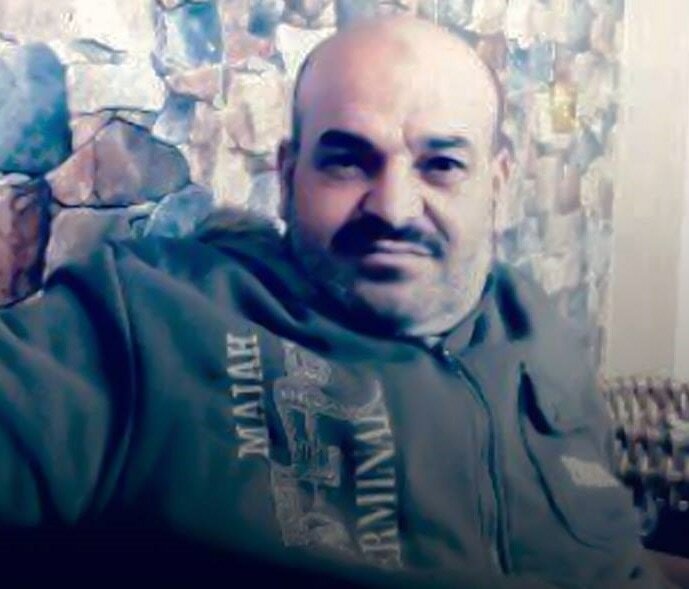 He said that the Jordanian citizen, Mohammad Abdullah al-Kasji, 57, was killed in occupied East Jerusalem, therefore, Israel, as the country that illegally occupies the city, is responsible for any escalation. 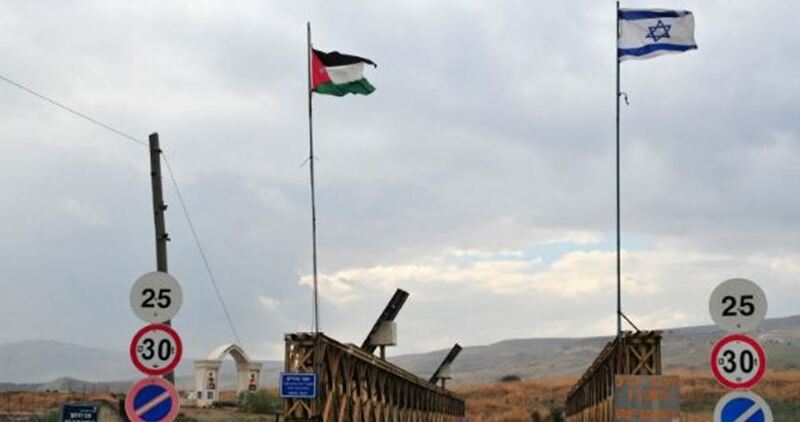 It is worth mentioning that the Jordanian citizen entered the country after obtaining a tourist visa from the Israeli embassy, as part of a tourist group, but left the group later. A Jordanian citizen was killed on Saturday afternoon in the Old City of Occupied Jerusalem after he stabbed and injured an Israeli policeman. 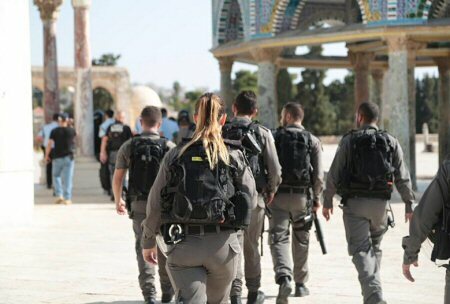 Eyewitnesses and media sources had earlier said that a Palestinian stabbed an Israeli policeman notorious for assaulting and harassing Palestinian women during their visit to the Aqsa Mosque. They added that the Palestinian was gunned down and left to bleed to death, adding that Israeli paramedics only provided medical assistance to the policeman. However, Israeli police spokeswoman Luba Samri said that the attacker was a 57-year-old Jordanian citizen who arrived a week ago with a tourist visa. Local media sources, meanwhile, identified the Jordanian citizen as Mohammed Abdullah al-Kasaji. Kasaji is the second Jordanian citizen to be killed by Israeli forces since the eruption of the Jerusalem Intifada in October 2015. The first was Sa’eed al-Amr, who was killed at one of the gates of the Aqsa Mosque in September 2016. The Israeli police said the policeman was moderately wounded and transferred to Shaare Zedek hospital in Jerusalem. Jordan reiterated on Wednesday evening its rejection of the Adhan ban bill, passed by the Israeli Knesset in the first reading, which bans the use of loudspeakers for the call for prayer (Adhan) in mosques within the Green Line and occupied Jerusalem. East Jerusalem falls under the provisions of international law and international humanitarian law, which state that the Jerusalem Awqaf Department is the only competent authority entitled to organize all mosques Affairs in East Jerusalem, especially the al-Aqsa Mosque and affiliated mosques, including organizing the Adhan, the statement added. Momani pointed to a clear article in the peace treaty, between Jordan and Israel, in the second paragraph of Article IX, concerning Israel's respect for Jordan's existing role in overseeing Islamic holy sites in Jerusalem, noting that the Israeli draft law constitutes a violation of the legal obligation under the peace treaty. 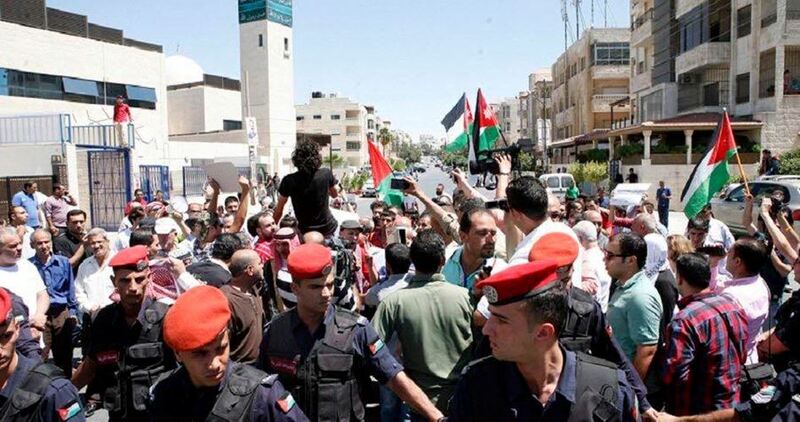 Dozens of Jordanian protesters swamped the center of Amman to demonstrate against the Jordan-Israel gas deal. Crowds chanted "no to normalization with Israel" and "the people want national dignity" in protest at the government over the deal. The protesters called for the cancellation of the gas deal which was signed in August 2015 to import natural gas from the Leviathan field off the coast of Israel between Jordanian National Electric Power Company (NEPCO) and the US-owned Noble Energy, which is a majority partner in extraction. NEPCO officials have earlier said the deal with Noble Energy will enable Jordan to import 300 million cubic feet of gas per day, which represents 40 per cent of the Kingdom’s electricity-generating needs. 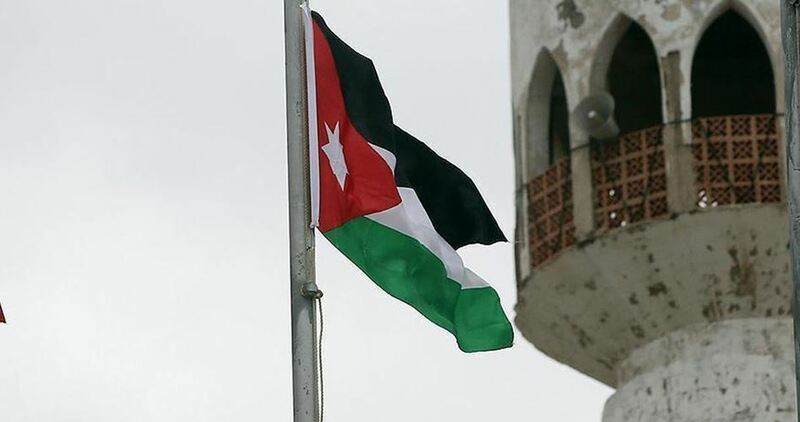 The Homeland Protection and Normalization Resistance Committee in Jordan has strongly condemned the deal, saying it blatantly violates the Jordanian constitution and ignores the will of the Jordanian people.